ToLaserBlade (T. o. Laser Blade) mod adds a simple sword with a laser blade. Note: The Laser Blade may not be compatible with some OptiFine options and some shader packs. Like it very much, but it's too easy. I would have liked it even more if early models had a duration and/or the last one (unbreakable) - harder crafting. 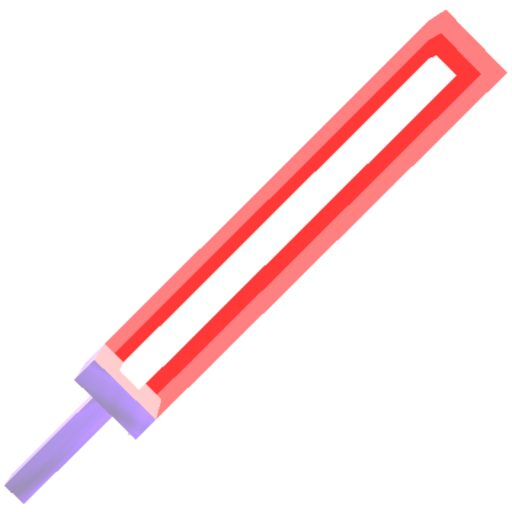 This mod aims to add a laser blade sword which can be crafted easily, so I don't plan to make it very hard. I won't change the difficulty of version 1.12.2-x, but 1.13.2-x may be changed just a little. You can change the recipe with CraftTweaker. Thanks for your suggestion, but I won't add shield function to laser blades because I will make LaserBlade coexist with the vanilla features. Since the appearance of blocking with laser blade looks so good, I want to test it in the next update. It will be disabled by default, but you can edit config file to enable it. This mod just adds some swords. I like the recolouring system's simplicity, but I noticed that the blade still remains quite reddish, even when recoloured. That being said, you're doing great. Keep at it. I'm using version 1.2.2 and all but the prop blade are invisible. Is the prop blade invisible in your hand? I tried to reproduce it but could not. I need more info. It's invisible in my hand, in my inventory and in JEI. The prop one is visible in all 3. Both the hilt and the blade are invisible? Please let me know which versions of forge and every mod you are using. I will open the issue tracker on this site, so please report to the issue tracker. A better way of changing the color would be nice, instead of running to a different biome. Yes, I will add a new way of changing the color. It will use a dye and an anvil. I see a zombie with one. 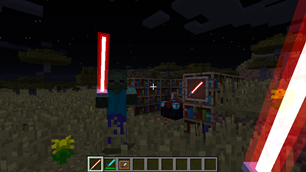 Does your mod allow for equipping the mobs with sabers, or did you use another program. This zombie just picked up dropped one.